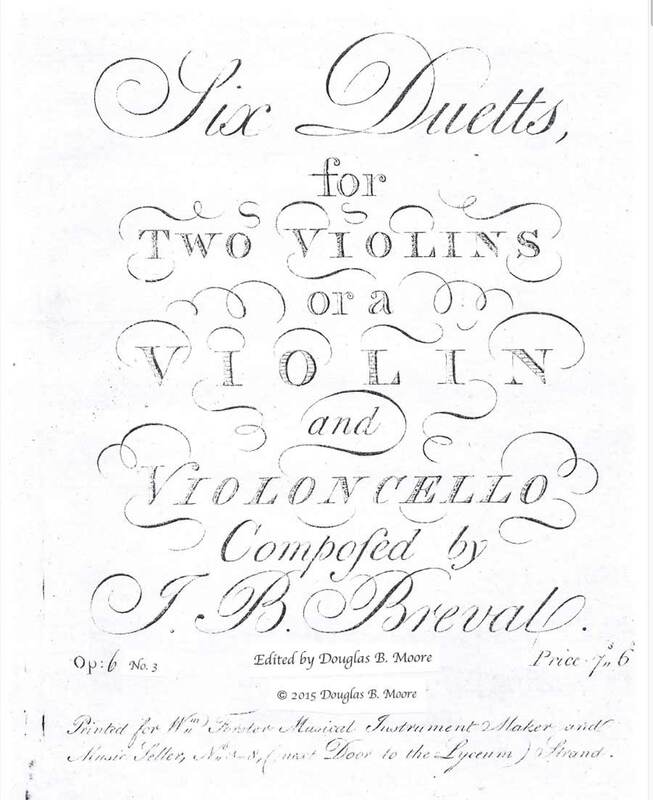 Bréval: Three Duets for 2 Violins or Violin and Cello, Op. 6, No. 1 in G Major, No. 2 in C Major and Op. 6, No. 3 in A Major. Facsimile of edition ca. 1795 (parts only) and modern performing edition, score and parts, including cello parts. The Six Duetts, Op. 6 for 2 violins or violin and cello were written ca. 1795. Duetto No. 1 in G Major has a first movement in sonata form, a second movement marked Andante poco Adagio, and a third movement marked Rondo Presto. Duetto No. 3 in A Major has a first movement in sonata form, a second movement marked Adagio, and a third movement marked Rondo Presto.